NDA 1 Admit Card 2019 : As you know, UPSC has announced dates for NDA 2019 Schedule. The Announced Schedule consists of NDA 1, NDA 2 Exams and also the expected period of releasing the Admit Card. Latest Update: NDA 1 2019 Exam Date Announced. Check Table below for more events and their dates. The NDA (I) Admit Card will be released in April 2019 and after it, the NDA Exam will be organized on 21st April 2019. You can check Dates and process to download Hall ticket in this article. NDA 1 Exam Hall Ticket will be released in the month of April 2019. It will be released on the official website, Check Exam Date and procedure below. You Can Download the UPSC NDA 1 e-Admit Card By going through the following procedure. 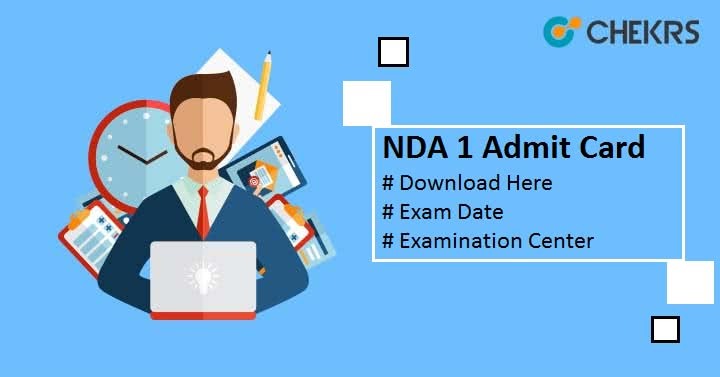 Find and Click on the “e-Admit Card: NDA & NA Examination (I) 2019” link, Which will be located at the right side of the home page under ‘What’s -New’ section. Now on next page of “e-Admit Card” click on “Click Here”. Next page will be Pop-up, which will have a table, You can get Exam Name, Year, Issue Date, End Date, ” To Download e-Admit” columns. Now click on “Click Here” . Read the important instructions, and click on “Yes” option. On the next page, you can get your admit card either By Registration Id or By Roll no. Choose the option as per your preference. Enter the asked detail and submit it. Your NDA 1 Admit Card will appear here and you can download and take a print out of it. Candidates have to read the provided instruction before downloading the Admit Card. All the Candidates have to carry the Admit Card at the examination center, for verification. At the Examination Center, Candidates will be only allowed for the exam after Admit Card and ID verification. So make sure to carry one govt. approved ID. Any electronic gadget inside the examination center are not allowed, and if any candidate found with them will be disqualified from the examination. Make sure to be on or before time. Candidate will get their exam center details on the NDA 1 Admit Card. That’s it guys for today. Hope our this article will help you to get your Admit Card , At the time of Admit card availiblity there will be still 2-3 weeks remaining for the exam. You can utilize this time period by solving NDA Previous Year Quesrtion Papers. Good luck for your Exam and try your best, If you like our post, Do share and Keep visiting.